Get ready, aviators! If you’re going to fly, you have to fly in style. 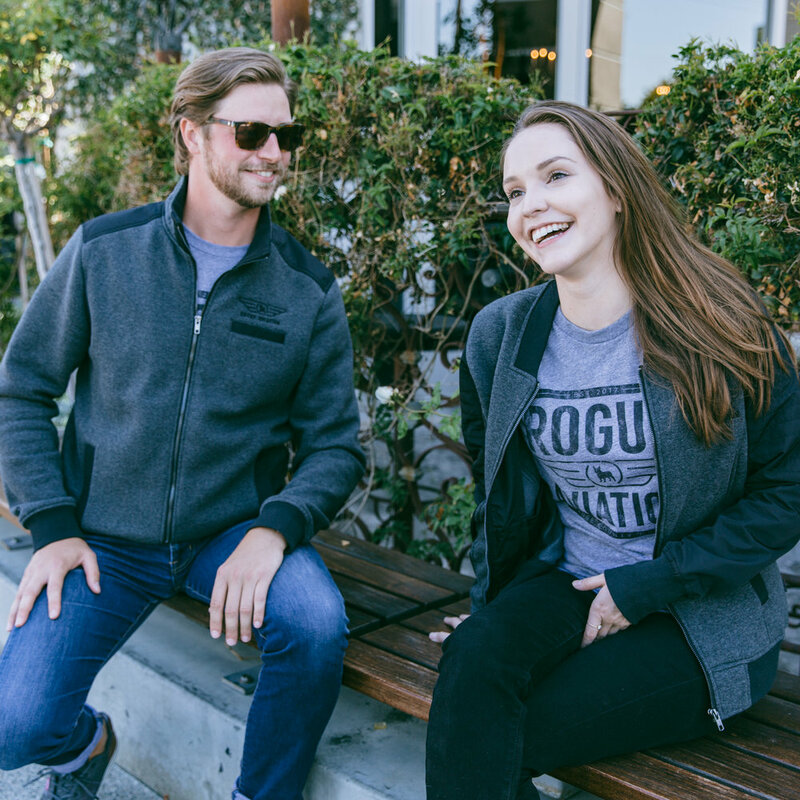 Your next flight look is officially available online at our brand new #FLYROGUE Store. With soft t-shirts, the sleekest jackets and even accessories to finish the look, you’ll be ready for your first class or just to enjoy the SoCal weather in no time! Designed by our sister company, Rogue Creative Development, our gear is made for comfort and style, no matter the activity. Our clothing is made of lightweight and breathable materials, to keep you cool, calm and collected while in the skies… or just lounging at home! 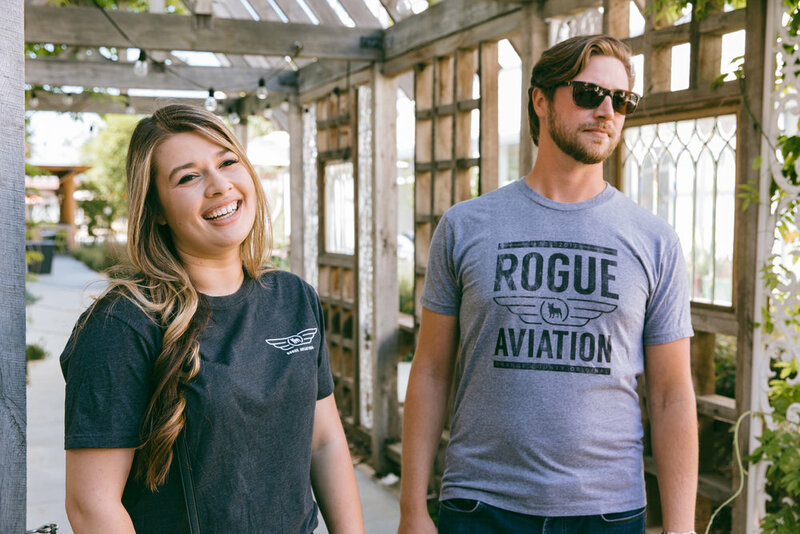 In a classic heathered grey, our distressed tee flies our Rogue wings loud and proud. This top is available in unisex sizes, small to extra-large. Be sure to rock our charcoal classic logo tee, also available in unisex sizes. The front features our winged Rogue logo. And the back? Bright orange script with some Orange County influence. Next up, the charcoal and black long-sleeve aviation jacket is ready for those chilly flights. With our signature Rogue wings and zipper-pull, this jacket is available in men’s and women’s sizes and styles. For small touches to your key or shirt collar, check out our lanyard and official #FLYROGUE wings. Soft and flexible, our black aviation lanyard will keep your keys or airport badge safe when on the go. The matte lapel wings pin features our Rogue logo in all its glory. It features two back closures for extra security. You’ll definitely want to add this one to your flight bag or purse! All of these items are available online for purchase NOW with new items coming very soon! Visit our Rogue Aviation shop to view the collection!